Professor Mahmut Kaskaloglu graduated from Ege University School of Medicine in 1976 and completed his residency at the Eye Department of the Ege University in 1979. He has done fellowships at Vienna University Eye Clinic with Professor Till on ultrasonography in 1977 and at Addenbrookes’ Hospital in Cambridge with Mr. John Scott on vitreoretinal diseases in 1983. He became a associate professor in 1986 and professor in 1998. He worked at the Ege University Eye Department as member of the faculty until 2002 when he started his own eye hospital in Izmir where he has been working since then. 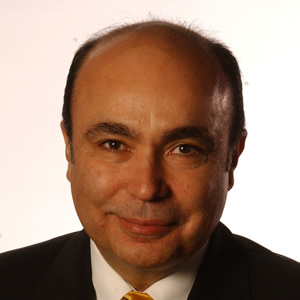 Professor Kaskaloglu has been actively involved in the practice and teaching of cataract and refractive surgery at home and abroad. He has lectured and done live surgery presentations in several countries including Turkey, Greece, Bosnia, Kosovo, Slovenia, Georgia and Portugal. He is also the country delegate and past president of Southeast European Society of Ophthalmology and Black Sea Ophthalmological Society. He is married to Dr. Selma Kaskaloglu who is also an ophthalmologist and lives with his family in Izmir, Turkey.